Imagine a world where leftovers are piping hot AND as good as they were when they were first cooked. Imagine a world where frozen food is quick and delicious! We built the Heat button into the Tovala for a much better way for you to heat up or reheat your food. 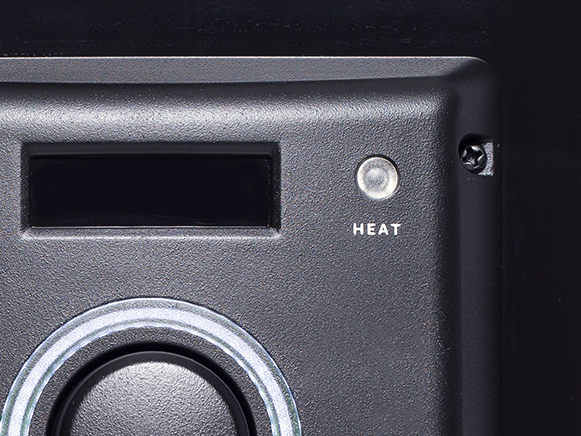 Learn more about the Heat button below. What is the Heat button? A button on your Tovala that heats up everything from frozen food to leftovers through Steaming, Convection Baking, and Broiling. Why is the Heat button awesome? Your food comes out of your Tovala like a freshly made meal. Leftover pizza is incredible. Fish filets that have become dry in the fridge return to their original tenderness. Even veggies frozen stiff come back to life! Thatâ€™s because the Tovala utilizes a cycle of wet and dry heating methods to give your food real texture! Weâ€™re talking crispiness, tenderness, even juiciness. Not things you usually get from reheated food. In less than 10 minutes, you have a delicious reheated pasta with melty, golden brown cheese on top, and thatâ€™s really cool. We have no shame getting excited about a world with better reheated food, so hop on the bandwagon! Read more about how our Steam Oven uses multiple cooking methods!